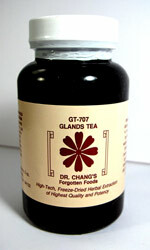 Chinese Herbal Formula Loose teeth, gum inflammation, infection, teeth, Cavities. Gum Combination from Dr. Chang Forgotten Foods contains Cinnamon, Scutellaria, Platycodon, Poria, Almond. Ingredients: Cinnamon, Scutellaria, Platycodon, Poria, Almond. Loose teeth, inflammation and infection in gums and teeth.